The AD Skyraider was a product of that pinnacle of piston-engined aircraft design and manufacture that occurred at the close of WWII. A number of extremely capable, rugged, reliable types were produced in the closing days of the war, or just after: advanced models of the F4U Corsair, the F8F Bearcat, the P-51H and P-47N, in Britain the Hawker Fury, and the creme de la creme, in my opinion, the Douglas AD Skyraider. Powered by a big Wright 3350 radial, the Skyraider saw service from 1946 until 1972 in the US, and longer in other countries. It was an incredible versatile workhorse that performed a huge number of missions: long range strike, medium bomber, airborne early warning, anti-submarine warfare, search and rescue, even carrier on-board delivery. 3180 Skyraiders were produced in a great number of variants from 1945 to 1957. The Navy phased it out in favor of the A-6 Intruder in 1968, while the Air Force used it until 1972 in the search and rescue CAP role in Vietnam. 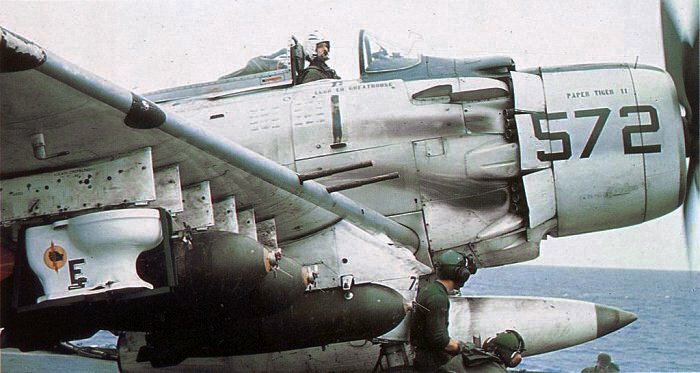 Just too late for WWII, the AD, or A-1 Skyraider was a workhorse of both the Korean and Vietnam conflicts, and may have flown in combat in third world nations until about 1980. It was the product of 40 years of piston engine design and one of the peaks achieved in that design medium. Soldiering on in a time when jets were replacing almost every other piston engine type, the Skyraider had unique capabilities that jets of the 50s could not match. It’s range and payload would not be equaled until the A2F (A-6) Intruder entered service in the early 60s. A-1H of VA-25 “Fist of the Fleet” prepares to fly a mission in 1965 with a special purpose bomb, outfitted with an ‘E’ award for battle efficiency, aboard CV-41 “Magic” Midway. This bomb was actually flown and dropped on a mission as a joke. The North Vietnamese actually accused the US of “bacteriological” warfare because of the stunt. Here is a low-res vid of USAF combat search and rescue operations deep in indian country in Vietnam featuring CH-53 Jolly Greens, A-1 Skyraiders, HC-130 Hercules, and OV-10 Broncos. That’s all for now. Have a blessed weekend. Posted by Tantumblogo in Abortion, awesomeness, Basics, contraception, Dallas Diocese, General Catholic, Glory, Grace, Our Lady, scandals, secularism, self-serving, sexual depravity, sickness, Society, Victory. A federal appeals court on Thursday upheld parts of a Texas abortion law pertaining to hospital privileges for physicians who perform abortions and protocols for abortion-inducing drugs, a decision that drew starkly contrasting reactions on both sides of the debate. A U.S. district court previously struck down those provisions in the Texas law, which were challenged in court by lawyers for Planned Parenthood. But the 5th Circuit Appeals Court later issued a stay of that decision “pending appeal,” meaning it would not go into effect. Thursday’s ruling means the provisions will remain valid in the state of Texas, until or unless the U.S. Supreme Court rules otherwise or legislators in the state act to modify the law. So it sounds like Planned Barrenhood plans to appeal. As the article notes, Texas is not the only state to implement the requirement for admitting privileges, but it is by far the largest, most important state to do so. I’m sure PB will make their appeal, but I have a suspicion the Supreme Court won’t hear the case. They might, in which case, I tend to think it will stand, but something tells me that they won’t even bother to hear the case. This requirement is only “onerous” to abortionists because they are the lowest rung of “doctors” around, a big step below the pill pusher, cash-payment only types I was familiar with at one point in my life. Good news on the pro-life front today! God be praised! I am certain Our Lady had much to do with this, during the week of the great Feast of the Annunciation! 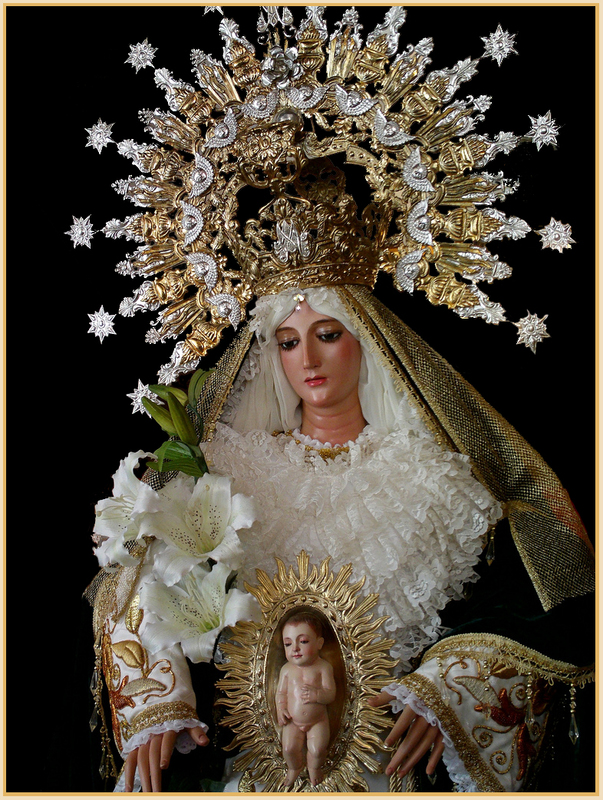 Ave Maria, gratia plena! Posted by Tantumblogo in Abortion, awesomeness, Basics, contraception, Dallas Diocese, General Catholic, Glory, Grace, Society, Victory. I wrote in a post Tuesday that abortionist Lamar Robinson – one of two murderers in Dallas who kill babies up to 24 weeks – had obtained privileges at a hospital in South Oak Cliff called University General Hospital. I wrote that a protest was planned outside this hospital next Tuesday. Well, the president of the hospital has been contacted by pro-lifers and he confirmed today that he is going to pull Robinson’s privileges, the only thing that keeps his abattoir open. Apparently, some other local abortionists have also gotten their privileges through this hospital, and he is pulling those, as well. This could be an event that has enormous impact on the availability of abortion in DFW. It is very possible two mills will close, at least until they find another hospital to grant them privileges, which we’ll then have to pressure not to do so. I think the president/head of this University General Hospital is to be enormously commended. He said he wants his hospital to be 100% pro-life and that it will not allow abortions nor associate with abortionists. That is great. I must say, to dampen the enthusiasm this a bit, none of this is confirmed to the point of Robinson’s mill shutting down, but all signs right now are great. I am guessing the planned protest for next Tuesday outside UGH (what an unfortunate acronym, btw) will be cancelled. Or maybe, it should turn into a demonstration of support? I’m not sure how the leaders plan to play it, if the Kukla’s or someone can let me know, that would be helpful, I’ll try to post an update, even on the weekend. For now, offer some prayers of thanksgiving! If this development holds, we’ll see two mills close in the next week or so! Oh, and I also got news of something really untoward and seedy that happened at Robinson’s mill very recently, totally unrelated to his state mandated admitting privileges at a hospital within 30 miles. Charges are being filed, that’s all I’ll say for now. Hopefully I can reveal more, soon. Posted by Tantumblogo in abdication of duty, Basics, Christendom, disconcerting, episcopate, error, foolishness, General Catholic, sadness, scandals, secularism, self-serving, shocking, the return. I posted yesterday on the scandal of the cash-strapped Archdiocese of Atlanta spending nearly $5 million on residences for Archbishop Wilton Gregory and three cathedral priests. My wife made a really good point last night that I thought worth sharing. I think many faithful have the sense that situations like this – and they are legion* – are indicative of an episcopate that has really lost its way. My wife noted this, and said how upside-down and inside-out things are: “we” the Church used to have glorious, beautiful churches and humble priests and bishops who lived very simply, now we have ugly “humble” churches and bishops (and some priests) who live in great opulence and extravagance. That says a very great deal. It speaks to the worldliness that has crept so very deeply into the Church. It reveals a highly disordered materialism that is extremely difficult to reconcile with the kind of interior life one would expect a faithful bishop to have. And it shows how utterly misplaced priorities are, where parishes are often built to the lowest possible cost point with no thought of how to truly sacrifice and scrimp to make something lasting and magnificent, while lavish lifestyles are reserved for Amchurch’s local branch managers. 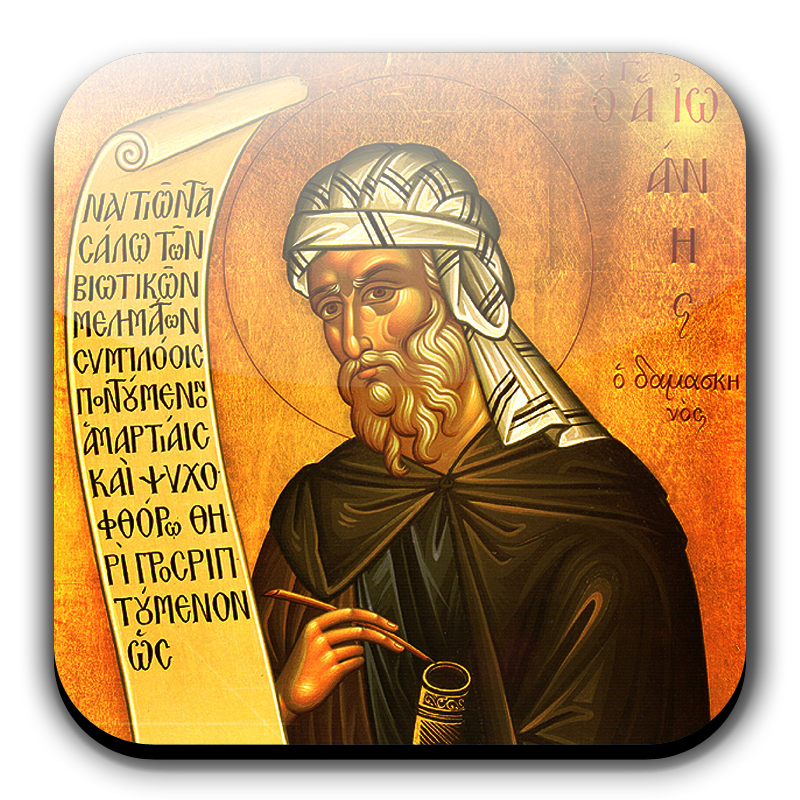 In fact, there is a close correlation between how liberal a prelate is, and how auspicious his style of living. See Robert Lynch, Joseph Bernadin, et. al., for details. * – There are also opposite examples of bishops selling mansions and adopting very simple manners of living. They are to be applauded for this. Posted by Tantumblogo in Art and Architecture, Basics, catachesis, Christendom, disaster, Ecumenism, episcopate, error, General Catholic, reading, Saints, scandals, secularism, Virtue. Christ enthroned in Heaven could not be belittled, but His images might be proscribed on earth. 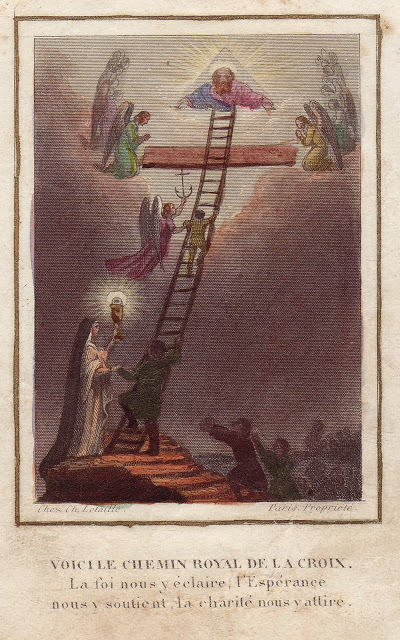 Heresy was powerless to touch the King even in these pictorial representations, but schism could at least shake off the yoke of His Vicar, and this last denial rolled the stone to the door of the tomb which the Crescent was one day to seal. The heresy of the iconoclasts or image-breakers represents the last phase of Oriental error with regard to the Incarnation of the Son of God. [They still hold errors regarding the Trinity, viz., the procession of the Holy Ghost from the Father AND the Son] It was right that the feast which commemorates the restoration of the holy images should receive the glorious name of the Feast of Orthodoxy. It celebrates the last blow struck at Byzantine dogma, and recalls all those delivered by the councils of the Church between the first and second of Nicaea. 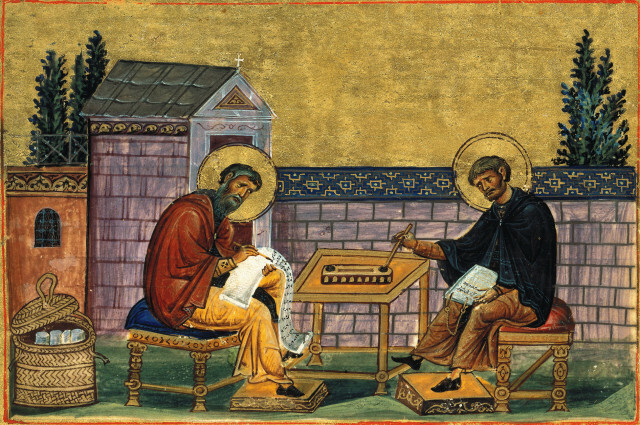 A peculiar solemnity was given to this feast by the fact that all the anathemas formulated in previous times against the adversaries of revealed Truth were renewed in the Church of Saint Sophia, while the Cross and the holy Images were exalted in triumph and the emperor stood at his throne. Satan, the sworn foe of the Word, showed clearly that he looked upon the doctrine of the Iconoclasts as his last resource. There is no heresy which has caused more martyrdoms or more destruction. Nero and Diocletian seemed to be reincarnate in the baptized Caesars who defended it………The edicts of persecution, published in defence of the idols of former times, were renewed for the destruction of the idolatry which was said to defile the Church. Interestingly, a remnant of iconoclasm has remained in the Byzantine Churches to this day. 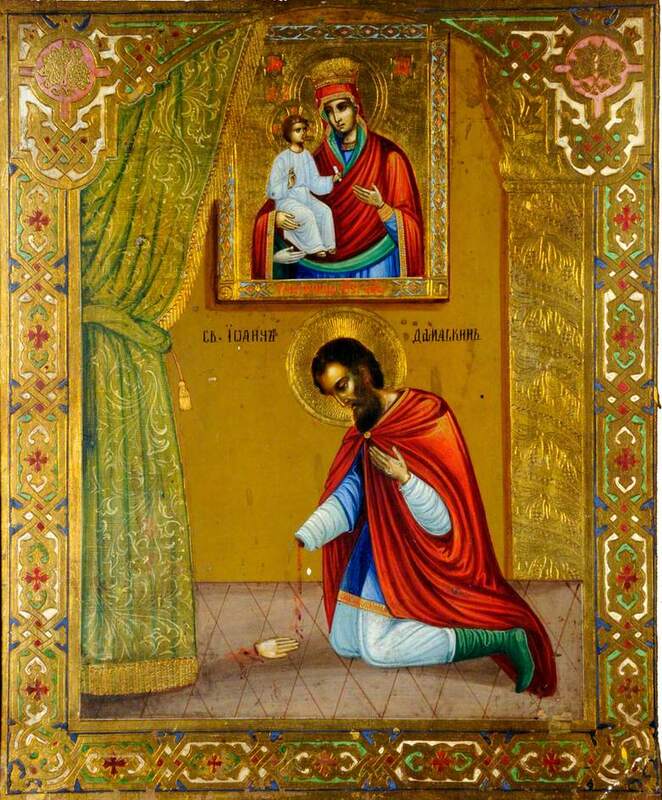 They still allow only painted art, in icons or parishes, with almost no statuary permitted, nor other forms of art. This is due at least in part to a lingering misconception of the nature of imagery and the kind of respect given them.